Dealing with any kind of skin condition—be it psoriasis, rosacea, or acne—can be tricky, frustrating, and just straight-up confusing. Oftentimes, there's a mix of causes and factors that can exacerbate the issue, which can make treating and caring for your skin feel overwhelming, if not impossible altogether. Dealing with a skin condition like eczema is no different, especially if it's your face (so easily exposed to potentially provoking products and the environmental instigators) versus other parts of the body. That said, if you're dealing with eczema, you're far from alone. 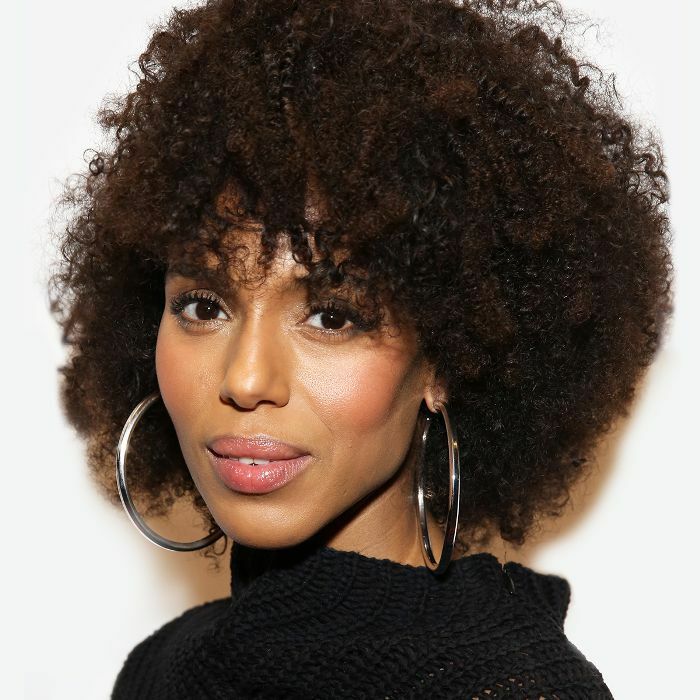 According to the National Eczema Association, more than 31.6 million people in the United States have been diagnosed with some form of eczema, and even celebrities like Kerry Washington have opened up about their struggle with eczema on their bodies and faces. But that's where it's important to strike a differentiation—caring for eczema on the body and addressing it on the face are two different matters entirely and will typically require working with a dermatologist to help treat and resolve the condition. For instance, as Washington disclosed to Allure last year, she's seen a dermatologist regularly since she was 8 years old and has learned the importance of taking her makeup off, thorough (yet gentle) cleansing, and moisturizing. Of course, any skin condition—eczema included—is far more complex than just keeping the skin clean and hydrated, so we reached out to some of the best dermatologists and skincare professionals in the industry to set the record straight (and answer all of our burning questions) regarding face eczema. We still recommend making an appointment with a dermatologist IRL, but this should at least help in the interim. From the variety of causes to A+ product recommendations, keep scrolling for all of their best advice. But first, what is eczema? According to Breana Wheeler, MSN, NP, at Facile Dermatology + Boutique, eczema is an umbrella term for a group of skin conditions that can cause the skin to become red, itchy, and inflamed. "The word eczema is often used when talking about atopic dermatitis, the most common type of eczema," she explains. "It's important to know that patients with atopic dermatitis have an impaired skin barrier, meaning their skin doesn't hold water in like it's supposed to, which is what causes the condition's signature flakes and dryness." While eczema can have a genetic component, there's a variety of things that cause or worsen it, such as our environment and the way in which our immune system responds. Cindy Bae, MD, also points out that while diet and certain foods don't directly cause eczema, food allergies can often make atopic dermatitis worse—another reason to visit your doc ASAP if you know or think you might be suffering from eczema. Even though all three experts agree that the general signs and symptoms of eczema will be the same regardless of where it appears on your body—face included—there are some key differences that are important to be aware of. As Wheeler explains, eczema on the face can be more difficult to manage since the skin is more sensitive and we tend to apply more products that might trigger a flare-up. This, for example, would require a different treatment strategy than a type of eczema on the hands called pompholyx or dyshidrotic eczema which, Bae says, presents itself as deep-seated blisters. "You can also get nummular eczema, which looks like a coin-shaped rash on the body. Plus, since many patients with eczema scratch and rub the areas affected, it's not uncommon for the skin to appear thickened and/or sometimes darker in some areas of the body and face than others," says Bae. How should eczema on the face be treated? First things first, if a trigger for your eczema can be identified, it should be eliminated. Not sure where to start? Tanuj Nakra, cosmetic surgeon and co-founder of Avya Skincare, cites common triggers as foods (think typical allergens like eggs, dairy, or nuts), fabrics (wool or man-made fibers), or skin irritants (perfume, makeup, or skincare products). "Unfortunately, some triggers are hard to treat because they are tied to your genetics or where you live. For instance, northern latitudes are a trigger," Nakra explains. "Secondly, the itching symptoms of eczema should be treated to avoid worsening the inflammation." He says non-aggressive steroids such as hydrocortisone 1% cream is a good place to start in order to calm irritation, and depending on your results, you can seek further treatment options with your doctor. Of course, choosing gentle, non-inflammatory skincare is key if you're looking to reduce the chances of a flare-up. 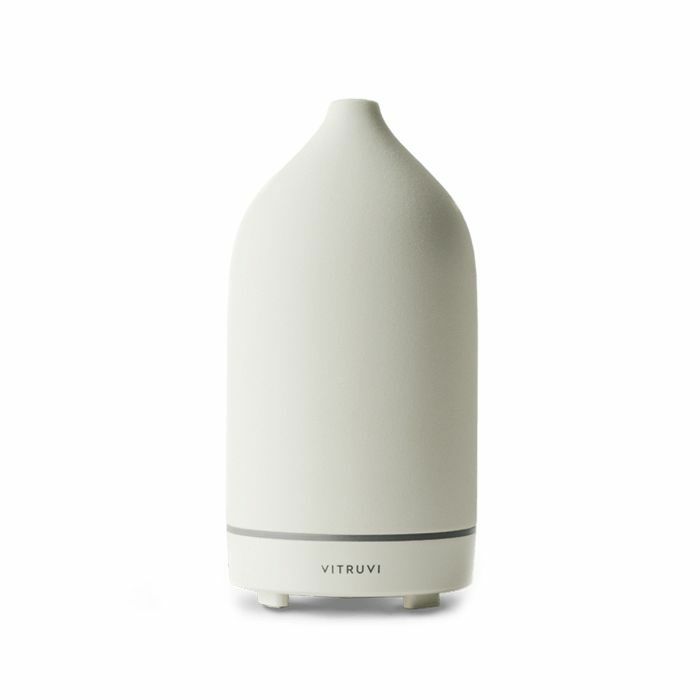 Oh, and Bae also recommends investing in an at-home humidifier. Essentially, anything that's harsh, irritating, or over-exfoliating is considered a foe when caring for eczema. Specifically, Wheeler suggests avoiding sulfates, alcohol, and fragrances in addition to at-home peels or pads and alcohol-based toners. Avoiding inflammatory food like sugar and dairy might also be strategic in minimizing the chance for flare-ups on the face. "Be careful with over-exfoliation, as that can lead to dryness, which can trigger eczema," Wheeler adds. "Allergens in the environment can even cause an eczema flare as well as stress and hormones. I've also seen eczema worsen with certain eye makeup and makeup-removing products. I would avoid makeup wipes since most of them contain fragrance and alcohol and instead use a gentle makeup remover or micellar water to remove makeup. I also recommend avoiding hot water when washing your face and instead use cool water, as it's less drying and less irritating." Ingredient-wise, Nakra suggests looking for soothing ingredients when choosing your skincare picks (don't worry, more on that below!) and suggests calming, natural choices like snow mushroom, turmeric, aloe, and witch hazel as non-irritating alternatives. What are the best products? As Nakra tells us, the ideal evening skincare routine for someone with eczema flare-ups on their face would start with gentle cleansing, followed by a low-inflammation nighttime moisturizer, which, he says, can even be as simple as pure coconut oil. However, he does point out that anyone with more active (i.e. consistent) eczema may need to treat their skin with over-the-counter topical steroids such as hydrocortisone 1% cream before applying their nighttime moisturizer, or even doctor-prescribed medications to reduce eczema's intensity and frequency. Keep scrolling for the products dermatologists recommend to anyone with face eczema. "An ideal anti-inflammatory skincare routine for someone with eczema would begin with a cleanser that doesn't overly dry the skin, such as this one from Avya Skincare," says Nakra. 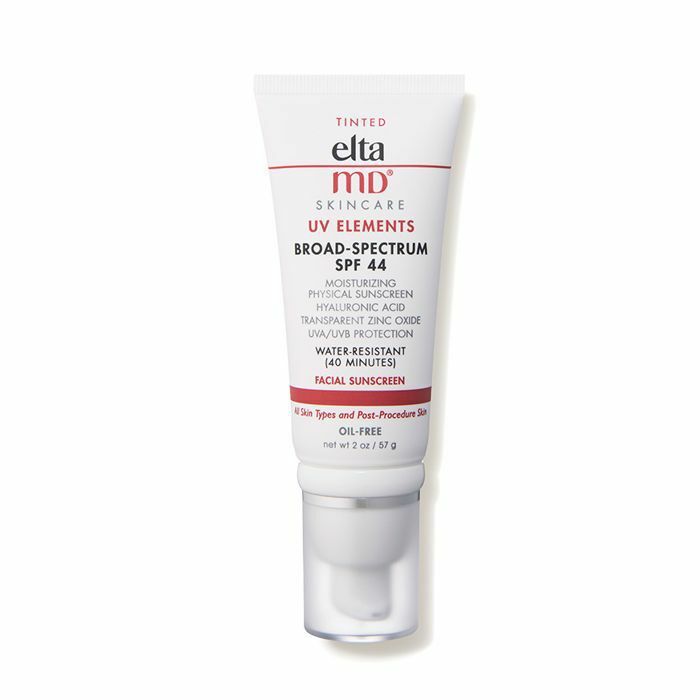 "All of the products from the brand avoid common triggers for eczema, including glycolic acids, retinoids, and other inflammatory agents." For hydration, Nakra says he recommends this moisturizer containing snow mushroom, turmeric, and neem, which are all designed to reduce skin inflammation. "In terms of products you can use to help manage eczema, moisturizing with thick creams and ointments is key," Bae clarifies. "The best time to do this is right after you wash your face. 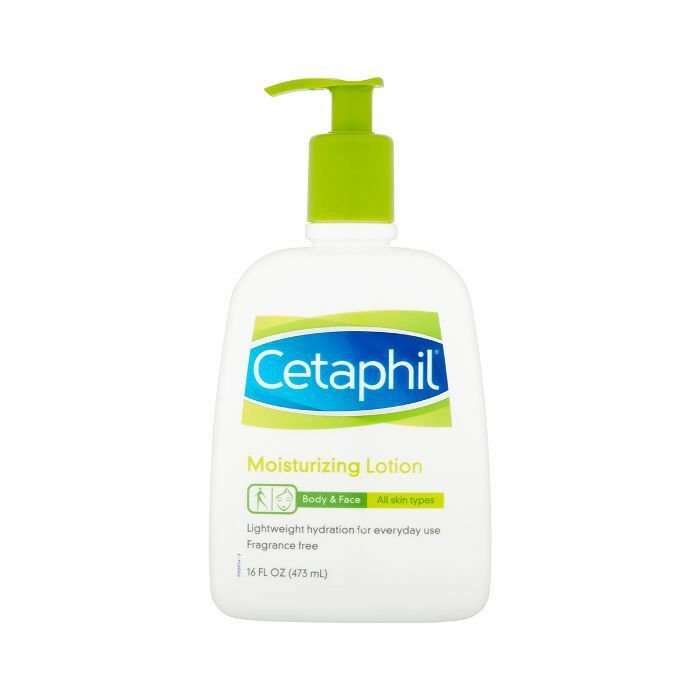 I like Cetaphil Moisturizing Lotion or Vanicream Lite Lotion." 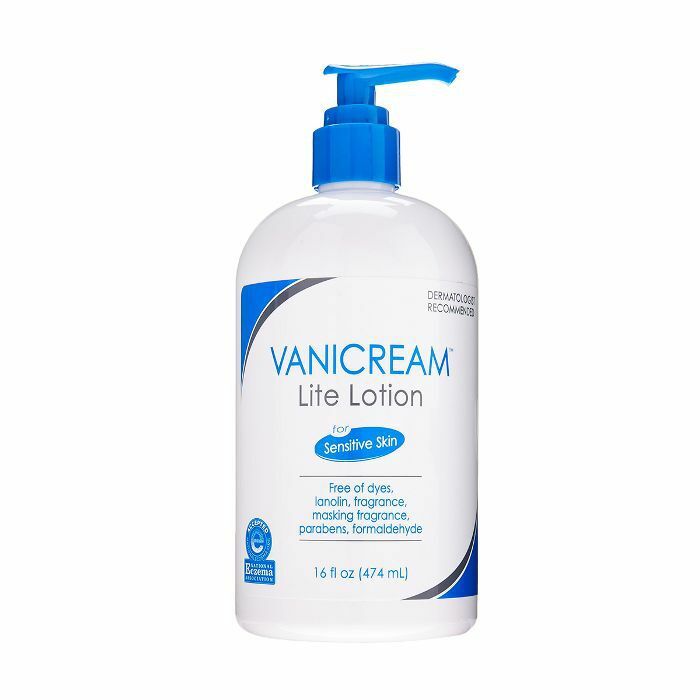 When a flare-up occurs, Bae recommends being sure to apply topical medicine prescribed by your board-certified dermatologist first and then reaching for a lightweight moisturizer, like this one from Vanicream, to the rest of your skin. "Products with fragrances and dyes should be avoided," she says. "When addressing eczema, I always start by simplifying the patient's skincare regimen and removing any possible triggers," Wheeler says. "I typically switch the patient to a gentle, soap-free cleanser and a soothing, quality moisturizer to be used twice daily. 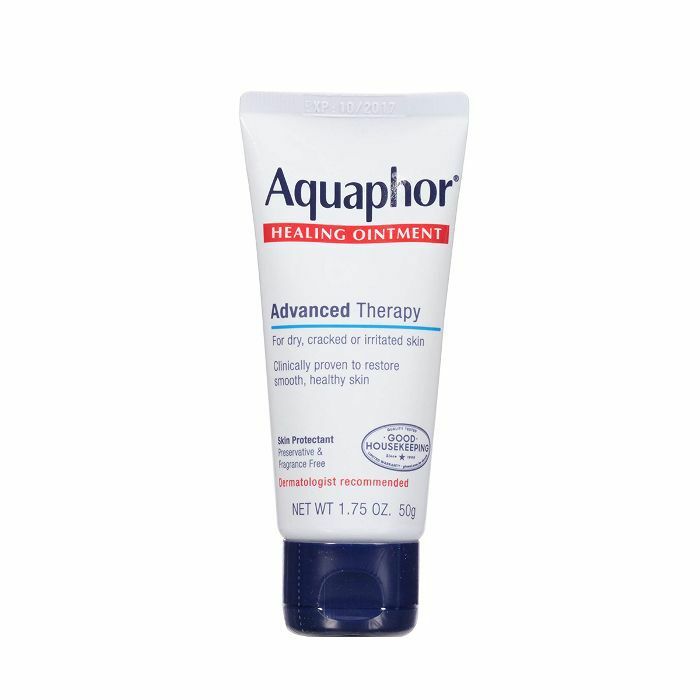 I also recommend an ointment like Aquaphor to help retain hydration in the skin." Wheeler continues, "For a patient with eczema on their face, I would suggest starting with a simple, gentle skincare routine. A soap-free cleansing cream or cleansing lotion would be ideal versus a foam or gel which might be too drying. 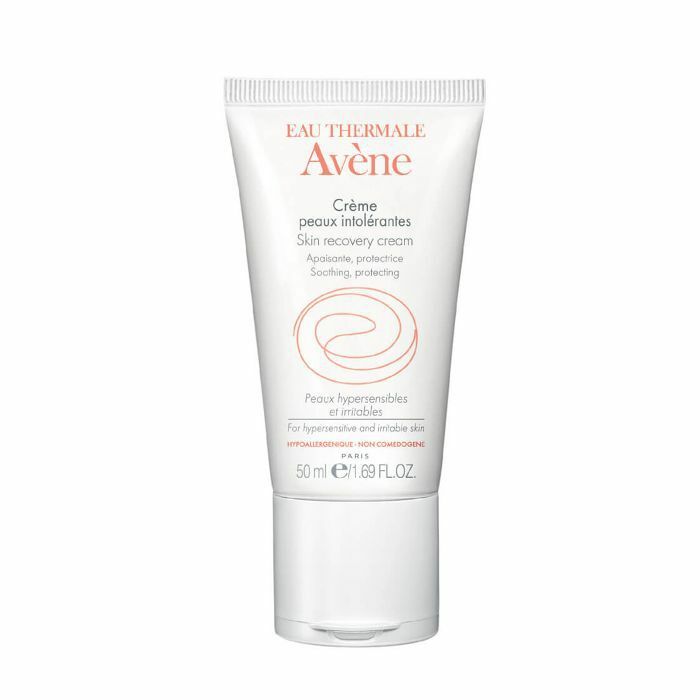 I would then suggest a hydrating, fragrance-free moisturizer like Avène's Skin Recovery Cream." Last but not least, sun protection! For sunscreen, Wheeler suggests opting for a mineral sunscreen versus a chemical, which might irritate the skin. She likes this cult-favorite formula from EltaMD. Ask the Expert: How Can I Fix Skin Redness and Rosacea?